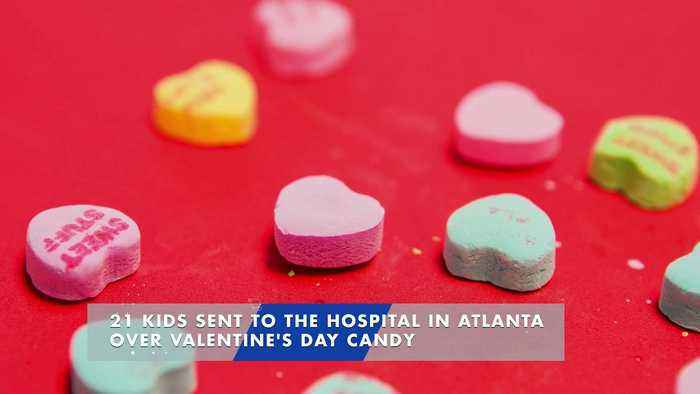 21 Kids Sent to the Hospital in Atlanta Over Valentine's Day Candy The victims were admitted over a variety of symptoms, including nausea and shortness of breath. The incident occurred at Sandtown Middle School in Fulton County. Police are still not sure what in the candy caused the kids to get sick. According to medical officials, none of the kids were in life-threatening danger. Fulton County Police, via statement Authorities are currently looking into where the candy originally came from.